Today's the day!! Head to your local bookstore and buy a book. Agent Kelly Sonnack of Andrea Brown Literary has created a buzz for the event on Facebook. Go and add your name to the attending list, and hie thee to an Indie store this morning, June 25. Details are below. 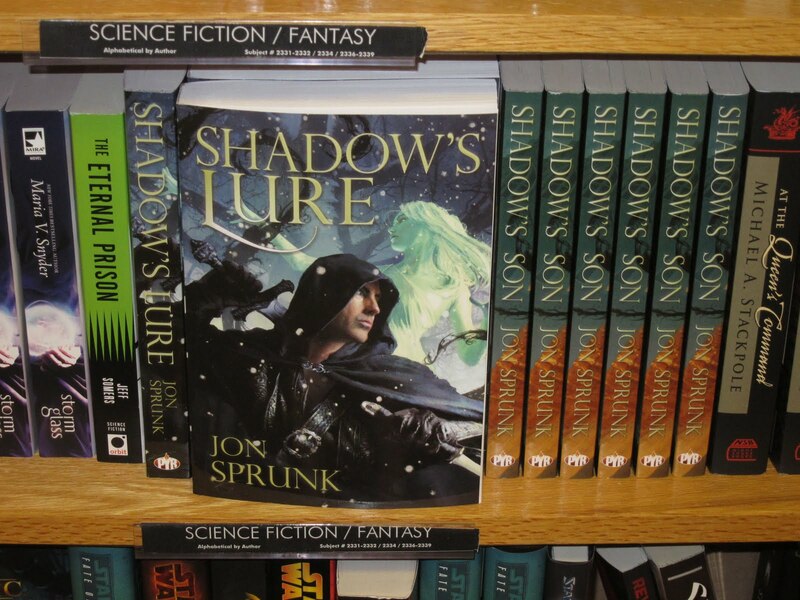 Your local brick and mortar bookstore! Early this month, one of my writing colleagues issued a challenge: write 30,000 words by June 30. Although a more sane person would simply smile, perhaps shake her head and walk away, I did just the opposite. "I'm in!" I typed, before I could change my mind. It's been an interesting month.This challenge has clearly caused me to write differently, at least some of the time. I'm a discovery writer, refusing to bound to an outline or even a plot line, but most of the time, I write scenes in order. In order to keep getting words on the page, however, I'm finding myself writing scenes out of order, then trying to connect the dots. It is very frustrating at times, but it also has its advantages. Today, for example. I reached what was supposed to be the end of my writing time, and left my current scene in a good place - one where I could jump in right away the next time I sat down at the computer - or so I hoped anyway. But then I found that I was just 149 words shy of clearing the 21,000 word mark. Could I write another 149 words? Sure I could. In the scene I'd just left at a good stopping point? Not such a good idea. So I scrolled down to a scene bit I'd written the other night. In less than ten minutes, I had 176 words, had moved that scene forward and left my original scene just where I wanted it. Neither scene is finished, nor are they yet connected to one another through the chain of scenes that will come in between, but both have left the writing door open. Overall, this month has reinforced my belief that I am a "write for this block of time" writer, not a "write this many words in a day" writer. Still, it's undeniable that taking this challenge has spurred me to put more words on the page than I would have otherwise. I guess we all need to try something unexpected every once in a while. I just received word that Pirates Through the Ages is on the way. Yay!! Can't wait to see how it looks. The editor said it turned out terrific, so I'm excited about holding it in my own two hands. 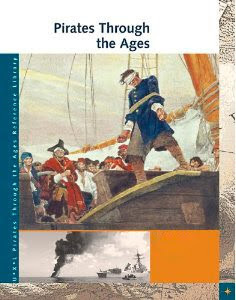 Here's a mock up of the cover. Looking back, I wondered while I was immersed in it if I'd manage to get it done by the deadline, but I did. Now I'm wondering the same about my latest assignment--5 books due one month apart. What is it about writers that they'll put themselves under this much pressure and agree to practically impossible deadlines, then slog through long hours day after day to produce a book? What is it about this profession that's so compelling? It's obviously not the money. As most writers discover, this isn't a lucrative profession. So what do we get besides the pleasure and excitement of holding a book in our hands? 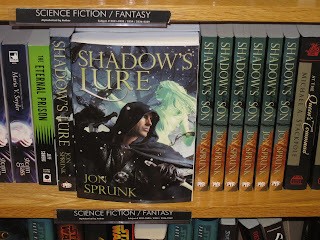 At long last, Shadow's Lure is out in stores. I took this photo in my local Borders. As you can see, they also have a few copies of Son. I hope you enjoy the sequel as much I loved writing it. I'm working hard on book three. Woo hoo! I'm so excited that Rock Bottom's now available from Lyrical Press! What's better than release day? A wonderful review! Already! Romancing the Book gave Rock Bottom a Lovely Rose, which is a recommended read! I was captivated by this story just from its blurb. I am a very big music fan and did watch Rock of Love so I found it very interesting to see how an author could make a story from that concept. And Cate Masters did it perfectly! One of the things I am very fond of when I read is the imagery authors try to portrait and Cate does it beautifully. The way she describes the scenery of the house, the hills and sand gives you a perfect picture in your mind. She showed just how important communication is in any relationship, just to say what is on your mind and not assume or guess what the other person might be feeling or thinking. The chemistry, tension and conflicts between the characters were written exceptionally well, made me keep turning the page to see how they were going to resolve some of their issues. She writes a perfect example of forbidden love….knowing you shouldn’t be with that particular person but just can’t deny it and have that inability to say no. It had just the right amount of steamy scenes as well, did not feel thrown in just for the sake of having one like some other stories I have read. Anyone who grew up in the 80’s will appreciate the music references in this book as well, had be nodding my head yes in more than one occasion lol. Woot! Ivelese made my week! Thanks so much! For rocker Jet Trently, success means playing the same platinum-selling hits over and over. Philly rock journalist Billie Prescott thrives on covering the latest releases. When her editor sends her to Malibu to cover Jet’s reality dating show, Rock Bottom, her blog’s success keeps her trapped there. Her life’s at Rock Bottom too, until she hears Jet’s new songs. They touch her heart as his music did when she was 15. When Jet touches her heart as well, will the reality show ruin the real thing? I'm visiting Sherry Gloag's blog this week too, so I hope you'll pop over and say hi! From Sunday through Wednesday, I'll have a new post each day. I'd love for you to visit! Yay, I received the rights back for my paranormal novella, One Soul for Sale, which I've republished. 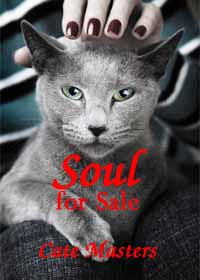 It's now available from Amazon and Smashwords titled Soul for Sale. For just $1.99! I revised it a bit, rewriting it in past tense instead of present. You can view the Casting Call, Story Elements, read more wonderful reviews and more here. Next, my short contemporary chick lit, Liberation via Pen, is now re-released on Smashwords and Amazon Kindle as Writing Off the Past. This is a very fun story, and a quick read. A reviewer said it "is a great story... The empowerment displayed towards the end was uplifting. Any woman who has been in Krista’s shoes will enjoy this read..."
Wendy Writer’s colleague has issued a June writing challenge – 30,000 words by the end of the month. WW knows she needs to seriously step it up to come anywhere close to meeting that challenge, but despite a family and a full-time job, she says yes. Due to craziness at work, she starts the challenge several days into the month (i.e. behind schedule from the start) but determines just to do the best she can. A week later, other writers are reporting numbers in the tens of thousands, while Wendy has yet to break 5000, but she is not deterred. She still has weekends, and school is almost over, so longer writing periods are just around the corner. On a bright, sunny Sunday afternoon (immediately following yet another trip to the basement due to a tornado warning, followed by a torrential thunderstorm), Wendy’s daughter heads to a neighbor’s house to play. Wendy grabs her laptop and dashes past the clutter in the dining room to her bedroom, which promises respite from any residual household noise (i.e. her husband). There, in the center of the bed is a pile of clean laundry, dumped unceremoniously that morning before church, and left there, forgotten and to its own devices. Since the laundry has not folded itself and put itself into the drawers (no surprise there), it remains in a heap in the center of the bed. Without a second thought, Wendy pushes the laundry to her husband’s side of the bed, sets the laptop on her side and fires it up (the laptop, not the laundry). Just then, Suzy Homemaker arrives. She smiles, lighting up the lovely, perfectly made-up face the same shade of pink as her perfectly pressed apron. “Don’t you want to fold those first?” she asks sweetly. Out of the corner of her eye, Wendy watches Suzy gear up for the inevitable guilt trip. The one that will paint her as a poor excuse for a wife and mother because she is typing instead of baking something from scratch; the one that will link clutter on the dining room table to poor digestive health and increased television viewing for Wendy’s family since the dining room table is not available for healthier pursuits. Wendy sighs. She knows what she must do – she has done it so many times before. Bracing herself, she saves her file, poises her fingers over the keyboard, and in a single keystroke, Suzy is gone. Just wanted to take a minute to introduce Debbie Beamer to those of you who might not know her. Debbie owns the Mechanicsburg Mystery Book Shop, and is a true friend to authors. I'm including her link, http://mysterybooksonline.com. Debbie is sponsoring a mystery conference on Saturday, September 24 with a number of authors here in central Pennsylvania. It should be quite a day, and I hope you will help me get the work out and attend if you can. For Katie's folks who just joined us, Debbie is a great resource for book signings and other activities. Be sure to check out her website and send her an email if you think you might be a fit. the upcoming release of Rock Bottom, my contemporary romance novel. HEA Reviews was gracious enough to feature The Magic of Lavender in its Spotlight Giveaway, so you have a second chance to win an ebook there by leaving a comment. It will also remain open all week. Come on over and join the parties! Instructor: Kat O'Shea. One of the fastest ways to get your manuscript rejected is to submit one that needs substantial editing. Grammar and punctuation are important, but they aren’t the only things that give your manuscript a quick trip to the rejection pile. Learn editors’ pet peeves and how to avoid them as well as how to tackle overall manuscript revision and still keep your sanity. Instructor: Kat O'Shea. An interesting and exciting beginning will draw readers in, but how do you keep their interest high throughout? 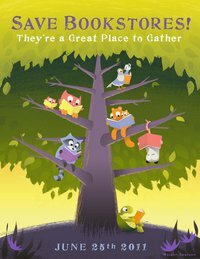 A well-plotted story will keep them turning the pages and make them eager to read your next book. Both plotters and pantsers will benefit from knowing how to structure a story that readers can’t put down. Learn about different story structures, such as the 3-Act and the Hero’s Journey, and how introducing change bombs and writing cliffhangers can help you avoid sagging middles.